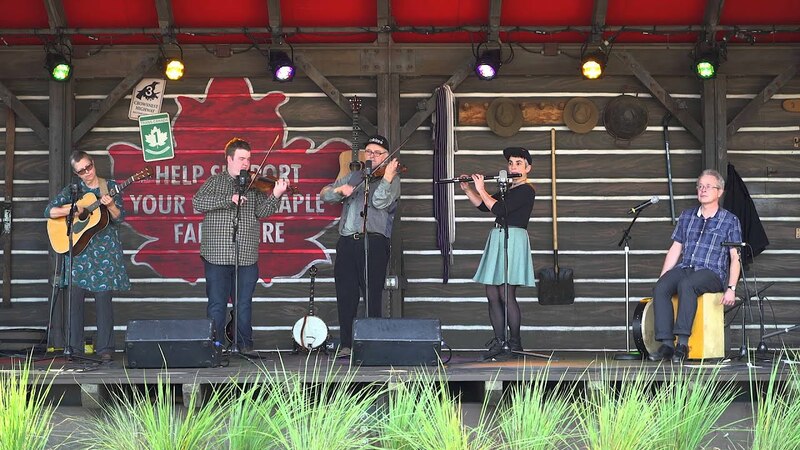 Jan 15, 2016 in "TradNation"
Epcot's Canada Pavilion welcomed a new entertainment act earlier today - TradNation. Celebrating Quebec's rich heritage of music, TradNation is a 5 piece band, performing traditional songs and step-dance in a 20 minute show. You can see the band Wednesday through to Sunday's, with several shows per day on the Mill Stage. We've got a video from one of the band's first shows at Epcot from earlier today. TradNation continues with the current Epcot entertainment philosophy of limited engagement acts that has seen relatively short contract periods for new groups. TradNation replaces the Canadian Lumberjack show.